Email newsletters allow you to reach your customers wherever they are. According to ExactTarget's "Mobile Behavior report" (2014), 91% of consumers check their email at least once per day on their smartphone, making it the most used functionality. Another study found that the number of people who use their smartphones for checking email is higher than the number of people who use it for making actual calls! Email newsletters allow you to peak your customers' interest throughout the day no matter where they are. It's a non-spammy way to get in touch with your customers. 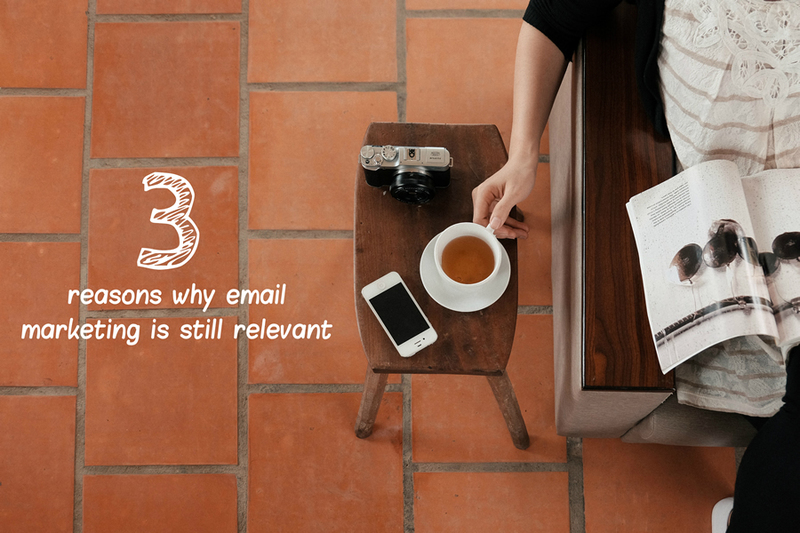 In order to send your customers emails, they have to subscribe. This puts the ball in their court to decide whether or not they want to hear from you. I don't know about you, but I guard my inbox closely. If I've given you my email address, it's because I want to hear from you. Likewise, the people you are sending email newsletters to want to hear from you. This is a huge advantage compared to other forms of marketing where you have to sift through demographics to find your target audience. With email marketing, your audience is already there and waiting for your message. It's easy, cheap, and effective.